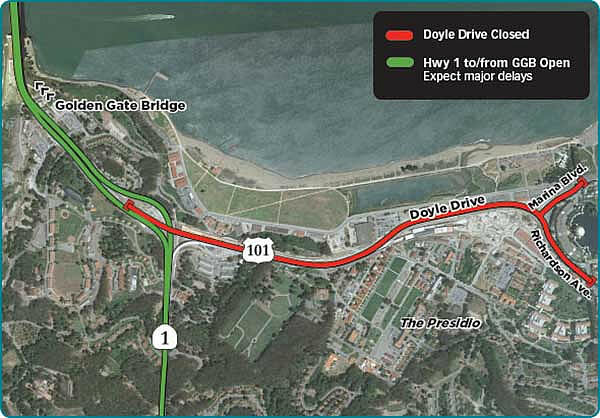 SAN FRANCISCO (KGO) -- Doyle Drive was closed for an extended weekend, from Thursday, July 9 at 10:00 p.m. - Sunday, July 12 at 9:00 p.m., to finalize roadway connections and transfer traffic to the new permanent roadway. 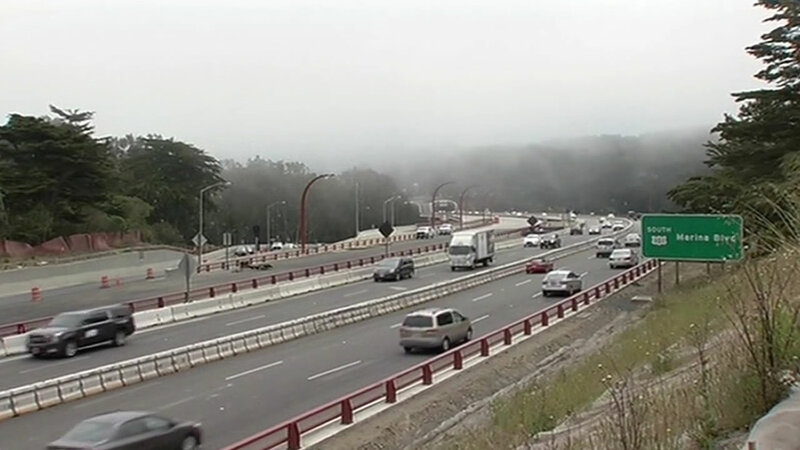 Drivers faced delays on Highway 101 and Highway 1 near the Golden Gate Bridge starting the evening of Monday, June 22. It was all ahead of the big closure on July 9 when Highway 101 was shut down for three full days to allow crews to connect traffic lanes to the new permanent roadway. A couple of lanes were closed overnight, starting from 10 p.m. to 3 a.m., so crews could install overhead signs for the Doyle Drive project. Park Presidio officials closed Marina Gate, the entrance to Old Mason Road off of Marina Boulevard. Click here for full coverage on the Doyle Drive closure.